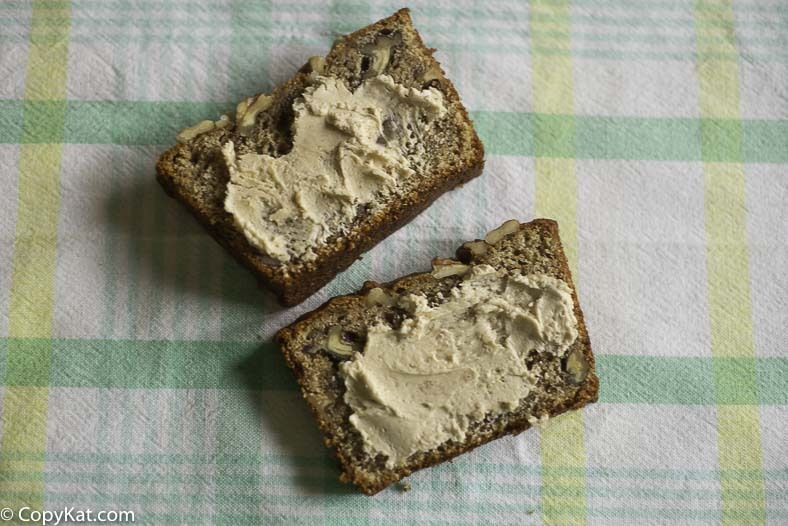 Banana nut bread is a favorite of so many, you can make this a little healthier. Do you have overripe bananas laying around? Put them to good use, make homemade banana bread. Everyone loves banana nut bread, banana bread is perfect for breakfast, or even a snack. 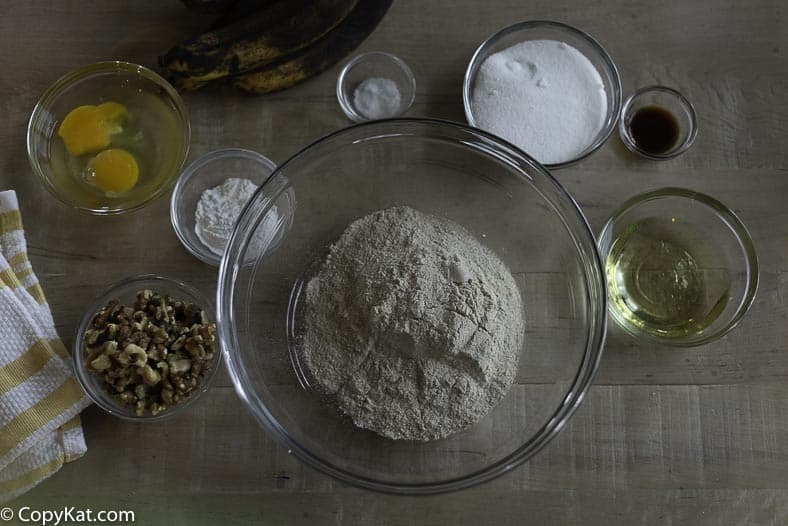 Did you know you can use whole wheat flour to make banana bread? This whole wheat banana nut bread is tender and moist. You will be so surprised at how good it can be. 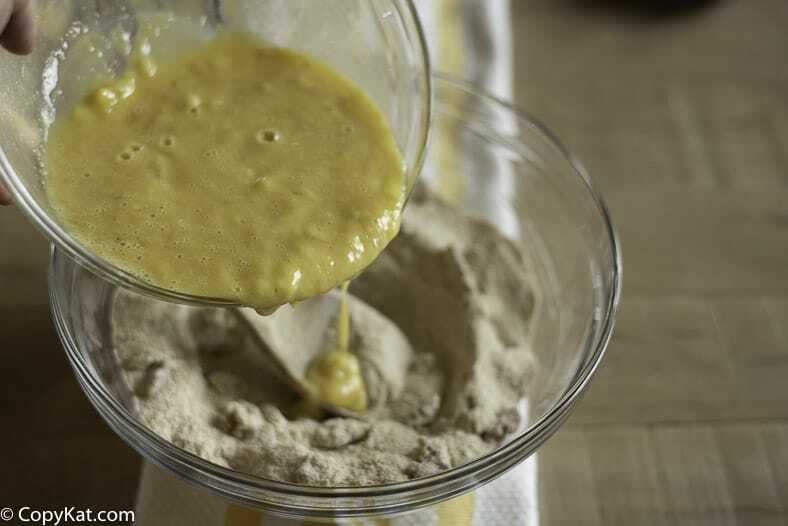 If you are looking for a healthier lifestyle you can start by switching all-purpose flour with whole wheat flour, but when doing so you are going to have to add a bit more baking powder to help the bread rise high! How many bananas make a cup? 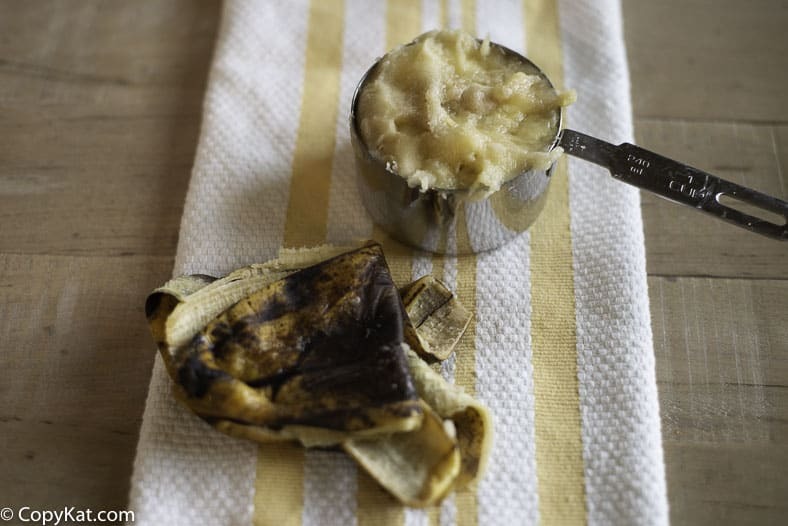 It takes about 2 medium-sized bananas to make 1 cup of mashed bananas. This banana bread is made up of many wholesome ingredients. It is made of whole wheat flour, sugar, mashed bananas, eggs, nuts, and more. This recipe is very easy to make, like many types of quick bread you will mix the dry ingredients together and the wet ingredients together before combining the two together. It is important to stir the two mixtures until the batter is just blended. Overmixing can make the bread tough. You may want to enjoy this bread with some delicious honey butter. 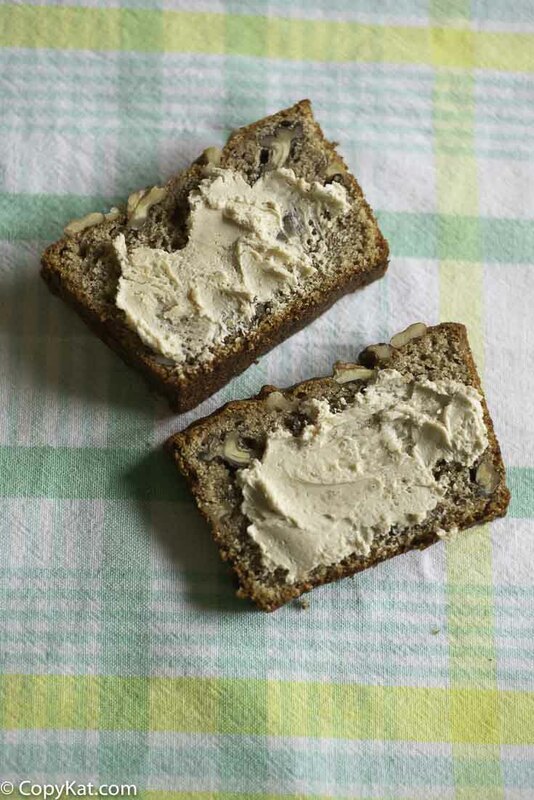 Honey butter is a delicious touch to freshly baked banana bread. Can’t get enough homemade banana baked goodies? Try some of these banana inspired recipes. Banana Bread – you can make banana bread at home, it is easy to make, and tastes wonderful. Banana Cake – this is a family favorite. 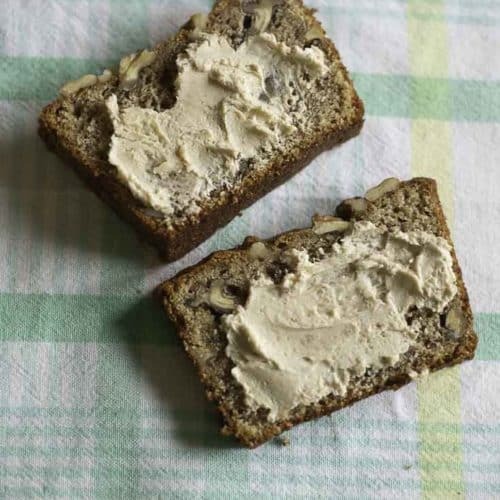 You can make a flavorful banana nut bread using whole wheat flour. Grease a 9x5x3-inch loaf pan. Mix flour, sugar, baking powder, salt, and nuts thoroughly. Mix oil and eggs together. Mix in bananas. Add dry ingredients to banana mixture. Stir until just smooth. Pour into loaf pan. This recipe is from the archives of my grandmother, Ethel Eynard. Jefferson City, MO. 1981. This recipe is perfect for those overripe bananas that we often don't want to eat. Test your baking powder before baking. If baking powder bubbles in warm water it is good to use. If it does not bubble, it should be replaced. Add some mixins like mini chocolate chips or even cinnamon chips. this is amazing, I used cane sugar instead of white sugar making it extra healthy. And its still so healthy. I added some milk to make the mixture more batter like and it really helped. thx for this amazing recipe. I am glad you enjoyed this recipe. This is the best recipe for whole wheat banana bread I’ve tried so far! Thanks! I am glad you enjoyed this one. It really should pour like batter. Not sure what happened there. Hope it comes out ok for you. Is it bad that the mixture didn’t “pour” into the pan? It had the consistency of cookie dough when I was done mixing. We’ll see in 45 minutes! Can’t wait to try this recipe out! I have tried many whole wheat banana bread recipes and they all failed so hopefully this one doesn’t.